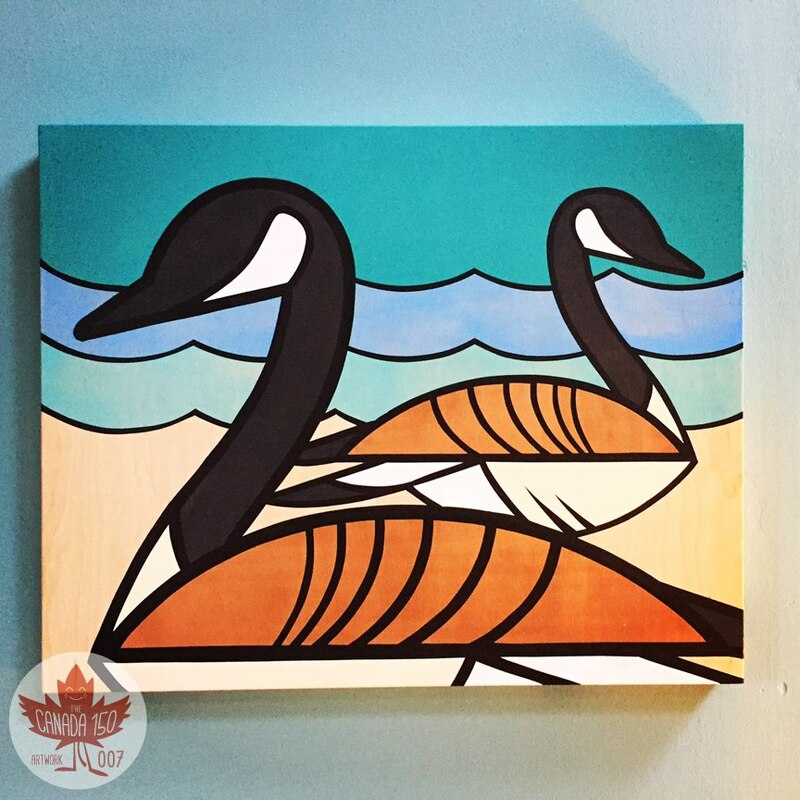 SKULLUXE: #007 "Canada Geese" - "20"x"16" acrylic and metallic copper paint on wood. #007 "Canada Geese" - "20"x"16" acrylic and metallic copper paint on wood. The Canada goose (Branta canadensis) is a like many Canadians... a hearty type who thrives in the north but come winter likes to take a trip to the warmer climes of the southern United States for a break and hang around golf courses, water and parks. Often heard overhead honking away, flying in a delta formation or holding down their area around lakes and waterways they are the most common waterfowl in North America and are considered a pest in some urban areas, mainly due to their feces polluting water and beach areas.